Christmas is the most special time of the year and the opportunity for you to show love to your families and friends, as well as express your gratitude for those who have helped you in one way or the other. Christmas is also the perfect time for family reunion. 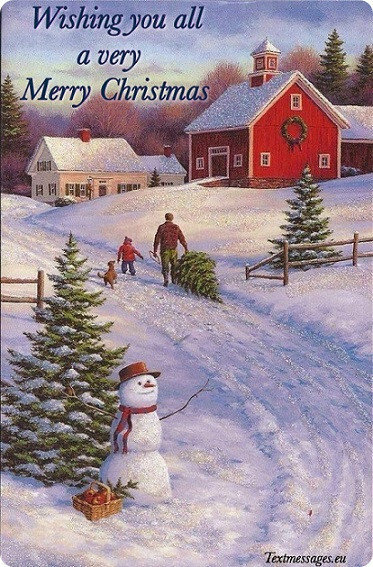 All the love, tenderness, affection and togetherness makes Christmas the most wonderful day for all people. 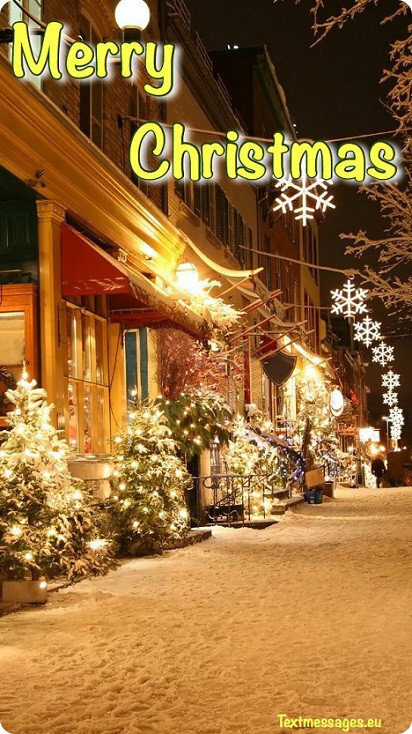 On this page we present you a large collection of Christmas cards for Facebook, as well as nice Merry Christmas wishes for Facebook or WhatsApp with images. These simple but sincere messages will assist you to convey your love to your loved ones in the perfect way. 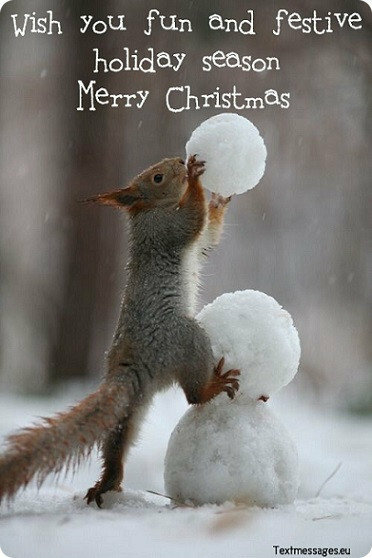 Whatever is wonderful, whatever brings you joy and happiness, may it be yours this magical season, as well as the coming year. Wishing you and your family all the best, merry Christmas! It’s not a secret that out parents have always indulged us with expensive Christmas presents and done their best to make us happy on this magical night. Although gifts are very important part of the Christmas season for all kids, their love have always been much more valuable for all of us. All I want to say is: during this wonderful holiday, don’t forget to be grateful. Merry Christmas! Christmas would lose it’s sense without love and solicitude filling up our souls. I hope that you will spend your Christmas with someone you really love. May the happiness light up your live. Merry Christmas! When I come back to my parent’s house I feel like I’m bringing back my childhood. Their care and love never change and always make me feel protected, and it’s particularly evident on the Christmas night. So may you always love your inner child and don’t forget that you should take care about the ones who take care of you. Merry Christmas! Since we’re grown-ups, we don’t believe in Santa and there’s no such thing as good behaviour any more. We all make mistakes and go harsh sometimes, but today is Christmas and it means that we have to forgive ourselves and each other. Merry Christmas! May Santa Claus bring you plenty of gifts! May your home be filled with pure joy, bliss and peace! May the Lord shower his endless blessing on you! Here are my wishes for a Merry Christmas and a Promising New Year! 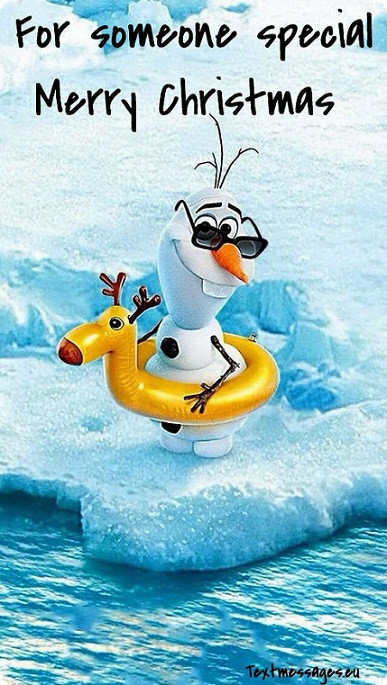 Holiday is wherever you’re with the loved ones. 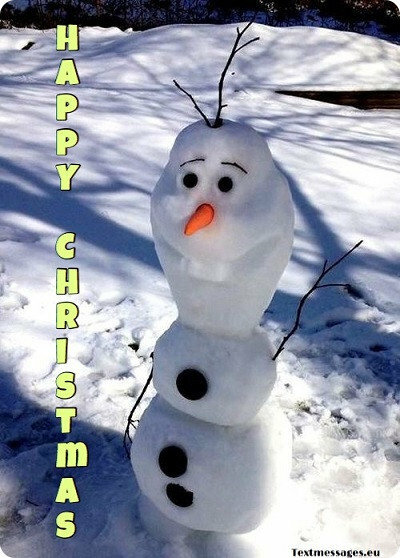 Wish you to have an incredible Christmas in the company of close people. Merry Christmas! There’s only one thing in your life that can and should (since there’s less cleaning and cut down trees) be fake: Christmas tree. And as for everything else, I wish you only true feelings, genuine words and honest people in your way. Merry Christmas! Snow, tree, lights and Christmas songs are good components for creating Christmas atmosphere, but they’re still not enough to have an ideal Christmas. Love, laughter, sincerity and generosity are far more important. Merry Christmas! I definitely like Christmas songs, because they are always so happy. I wish you to be like a Christmas song – just as resilient and cheerful. Merry Christmas! 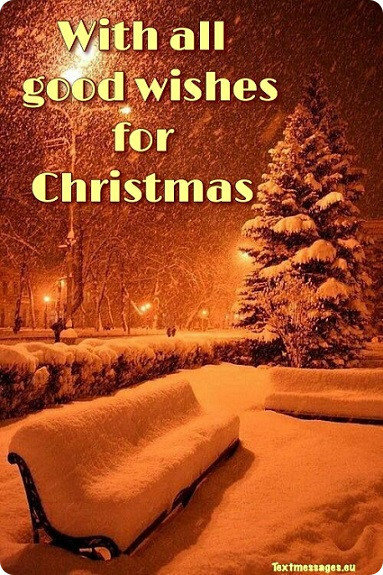 My wishes for you are the happiness of friends, the joy of family and the wonders of the holiday season. Wishing you a merry holidays and a new year filled with family, friends and great times, merry Christmas! All seasons are great for some reason. Summer is great for warmth and light, spring is for inspiration and autumn is for deep thoughts and rethinking different things. But winter is great for all these reasons, because holy Christmas includes it all. Merry Christmas! When the stars begin to shine and the moon shows up, just look at the sky and feel the magic of Christmas night and the unity of the world. This wonderful feeling is enough to be happy. Merry Christmas! May this incredible night bring much love, light and happiness into your house! And may it all stay there till the next Christmas. Wish you a happy holiday! 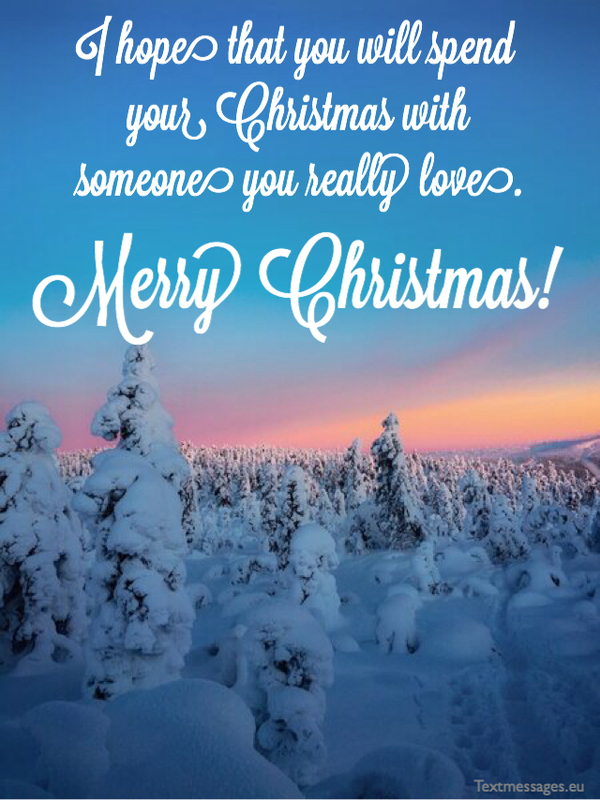 May the amazing moments spent with your closest people during Christmas keep you warm and cheerful for a long time! May the special times of the present become the precious memories of tomorrow. 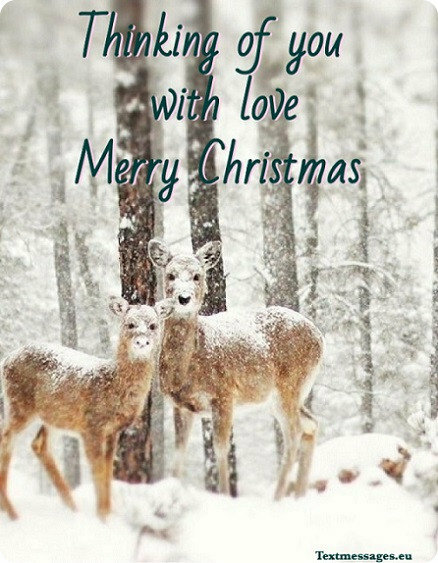 Wishing you all true love, endless joy and happiness, merry Christmas! Christmas comes into our homes and hearts, bringing us endless joy and spreading it all around. Christmas is a great time to share the happiest moments of the past with your family and to create new wonderful memories to cherish in the future. As well as flame of charity in our hearts. Christmas is not a time, it is more state of mind. To cherish sympathy, peace, goodwill – that is what the real spirit of Christmas is. On this special joyous day and all-through the years to come, may your life be filled with prosperity and good-luck. Wishing you and your loved ones true joy, happiness, strong health and prosperity in the coming New Year, merry Christmas! May your Christmas be filled with peace and joy. 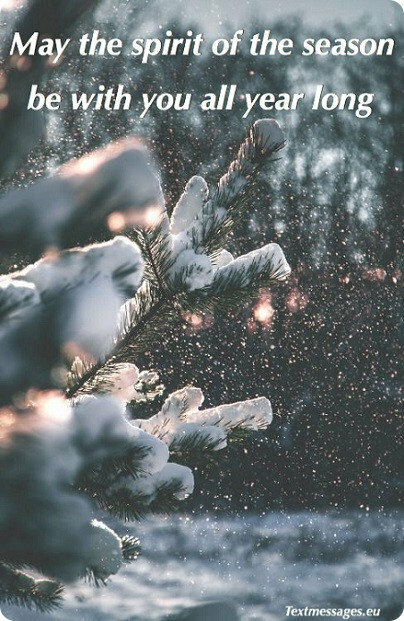 May your world be filled with warmth and love throughout the year! 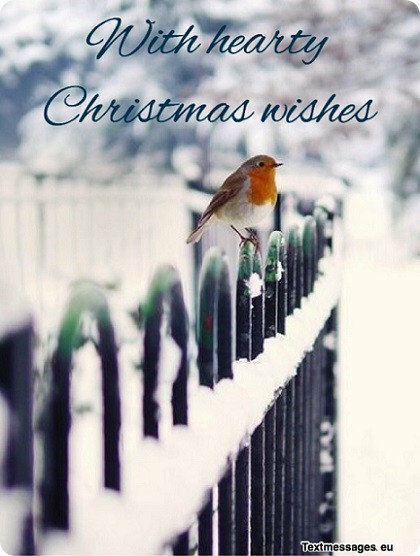 May the Christmas bring you warmth, joy and patience. 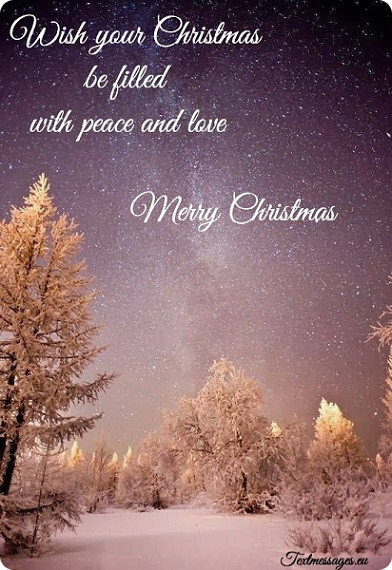 May the love and peace come into your home! Will fall from the sky and fulfil your desires. A time when all your wishes come true. So I wish you everything, that you need most! 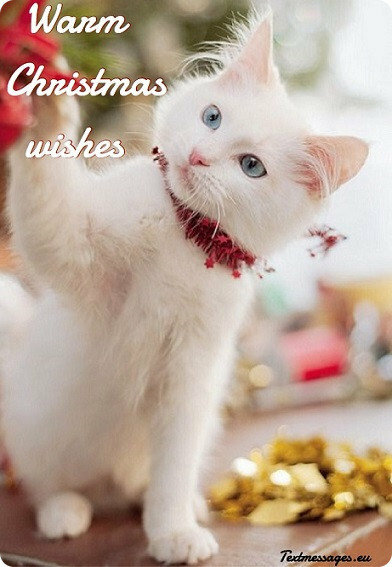 For your Christmas holiday, my wishes for you are many blessings, much happiness, and even more love. I really appreciate you and your thoughtfulness. Thank you, my dear ones for staying with me. You have made my world richer for being so alive in it. May your Christmas be as meaningful and wonderful as the gift you gave, merry Christmas! Celebrate without any anger in the heart. Let us light a Christmas candle in our hearts! Let the true feelings and true dreams always live in your heart! Good health and many gifts. Joy and the warmest smiles! With the festive spirit around, coupled with the fun and cheer, Christmas is the perfect time to express your love, to your loved ones near and dear, so have a blessed time with everyone, Merry Christmas! With its warmth and shining charms. 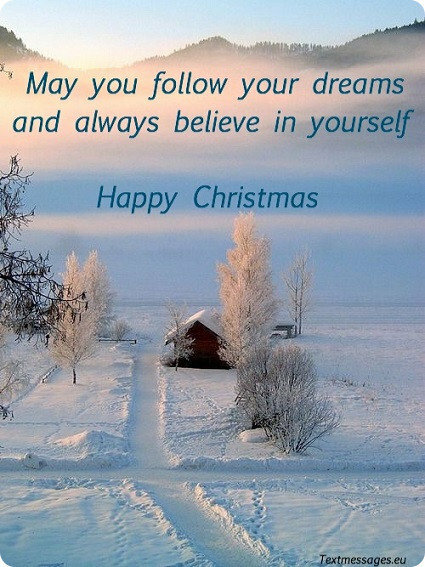 Let the Christmas morning bring you success, strength and hope. I hope you have a wonderful Christmas season and an amazing start of this New Year! May this Christmas be more bright for you, may it bring you lots of amazing and unforgettable moments, Merry Christmas with lots of cheer! For me Christmas is my grandfather’s wisdom, my grandmother’s holiday cakes, my parent’s endless love and my brother’s infectious laughter. The joy I get from all those things can’t compare with anything in the whole world. I want to wish you a good memory to always remember who can make you happy. Do exactly the same for them. 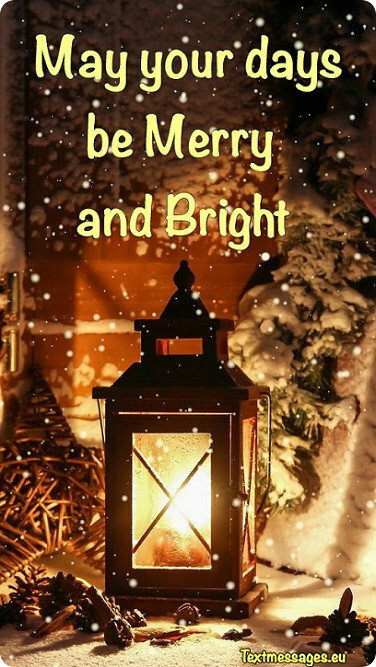 May your Christmas be filled with joy and peace. It’s been a long hard year, but Christmas is the time when we gain peace of mind and a long-awaited clarity. 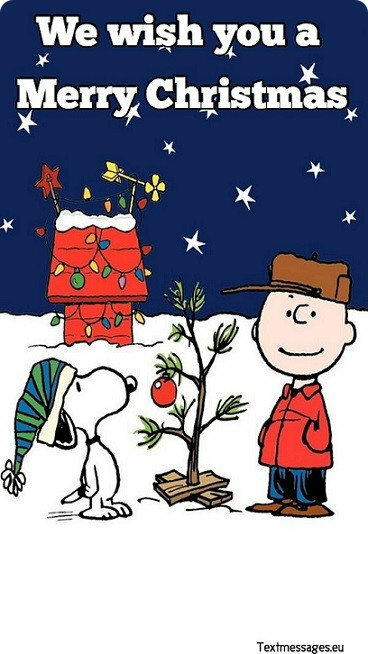 The only true essence of Christmas is to make happy the ones you love, so don’t you ever forget about that. May this holiday season be cheerful and lively. Merry Christmas! When I was a child, I always tried to do only good things so Santa could give me nice presents only. But we all grow up and make a lot of mistakes in our lives. So here is my wish for you: even if Santa doesn’t forgive you for what you’ve done, find someone who always will. Merry Christmas! As I walk into my Father’s house on the Christmas night, I’m becoming a child again. The smell of ginger bread that mom cooks every Christmas and bright lights that shine one the Christmas tree remind me of the good old days, and I would never change this special atmosphere for the world. Wishing you to feel exactly the same and to always be with your family during this holidays. Merry Christmas! One of the most valuable things my family taught me is that giving is much more important than receiving, and Christmas is the best time to show everyone what I’ve learned. I want to share this knowledge with you. Don’t you ever forget to give more than you receive on Christmas. May this holiday season be memorable! The Christmas madness that takes place in different kinds of shops sometimes can be extremely annoying and tiresome. May you find a person who can help you to cope with this. Merry Christmas! 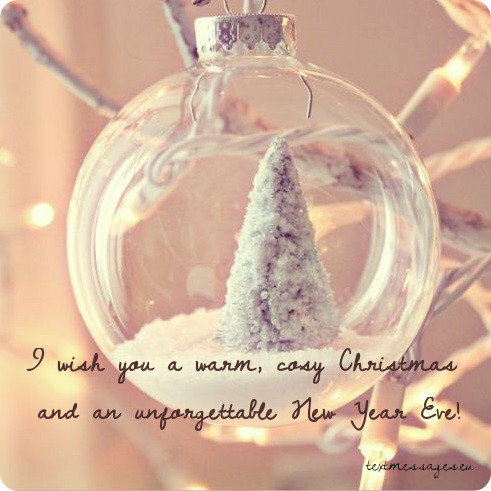 I wish you a warm, cosy Christmas and an unforgettable New Year Eve! 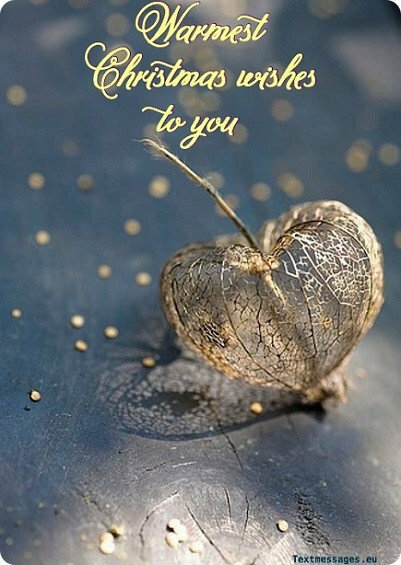 Let’s celebrate the kindness of the ones we love on this Christmas night, because without their support and tenderness we would never be this strong. 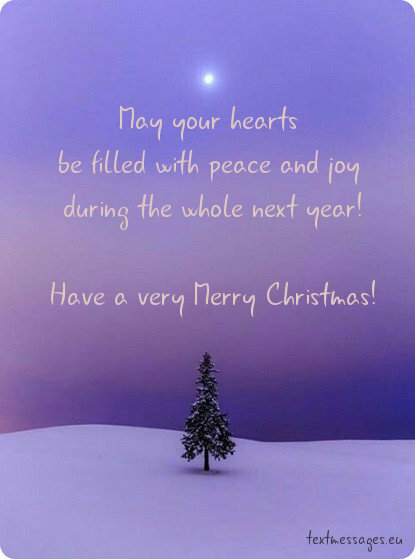 May your hearts be filled with peace and joy during the whole next year. Have a very Merry Christmas! I believe Christmas is able to change people’s life for the better. Wish you to see wonderful things this night, which will prove you that Christmas miracle is real. Merry Christmas! I don’t much like winter, but Christmas night is my favourite time of the year. It’s filled with mystery and wonder, which hold the promise of a better future. Wish you to experience the magic of this holiday in full. Merry Christmas! 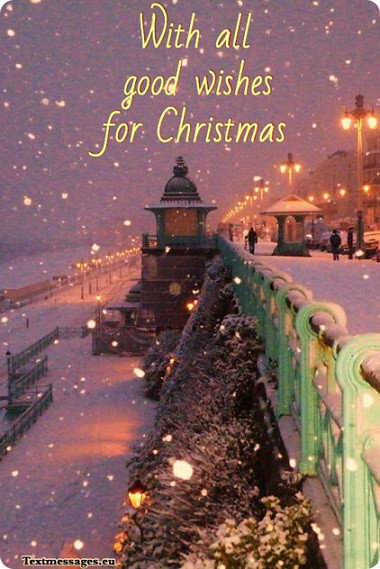 Christmas is the kindest holiday ever which is a good reason for being kind-hearted too. 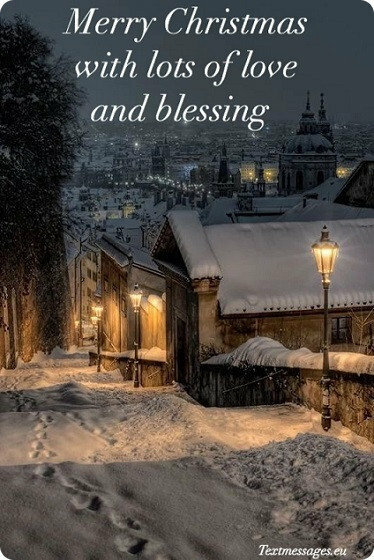 Spend this Christmas night with love and kindness in your heart and you’ll see that it really makes difference. Merry Christmas! I’m sure you’ll find a lot of marvellous gifts under the Christmas tree this night. But you deserve getting presents not only at holidays. Let life surprise you every day of your life. Merry Christmas! We all stray from the path sometimes. And just as the Star of Bethlehem heralded the birth of hallowed Christ, I wish that the light of this magic holiday would show you the right way. Merry Christmas! Let the good times of the present become the precious memories of tomorrow. Merry Christmas! Wish you lots of joy and happiness! May this Christmas season be truly blissful to you and your dear ones!